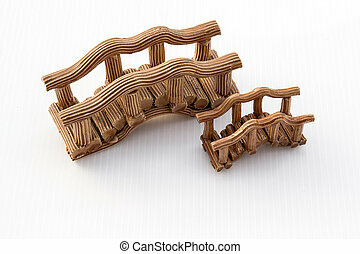 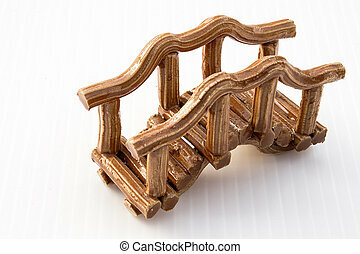 Ceramic bridge. 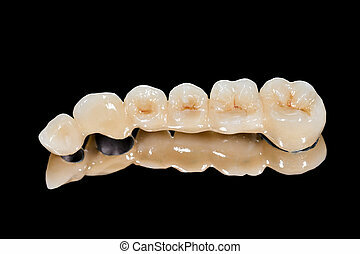 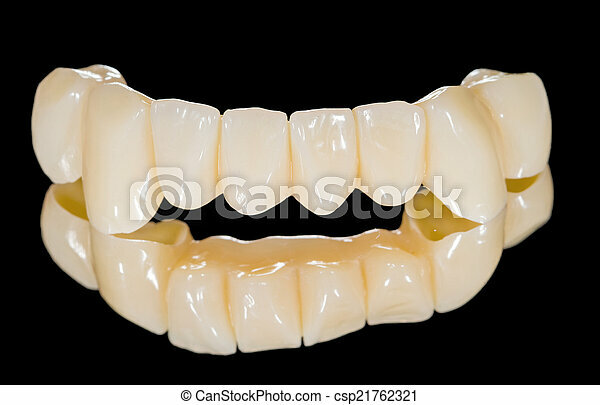 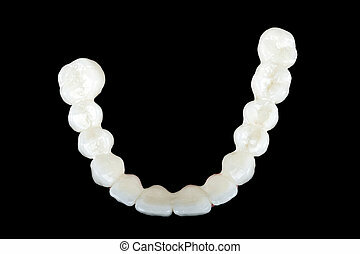 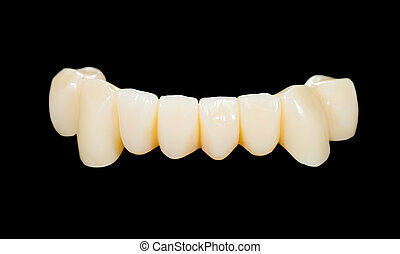 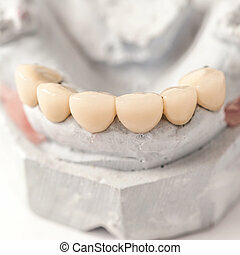 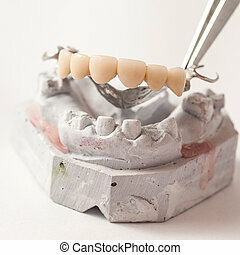 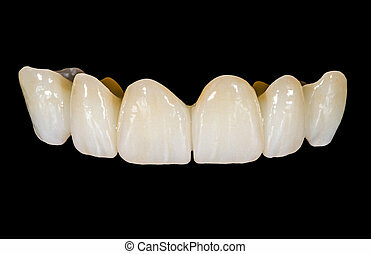 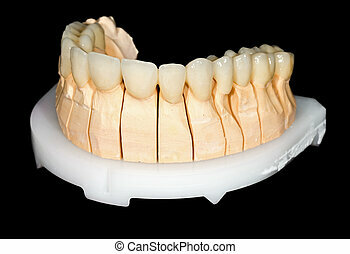 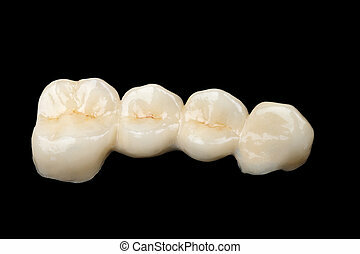 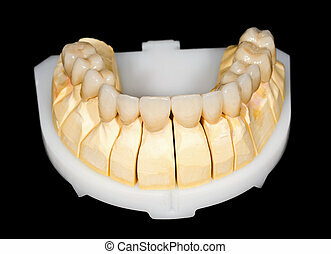 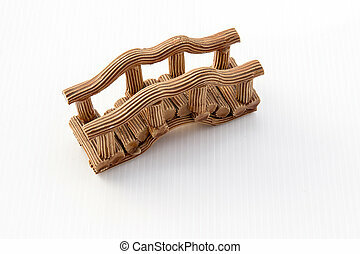 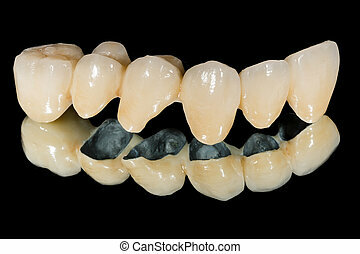 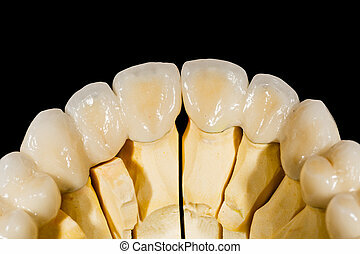 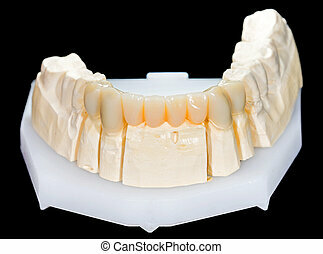 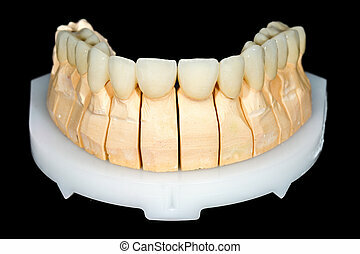 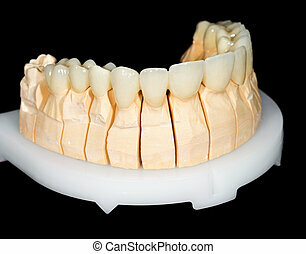 Ceramic front bridge on isolated black background. 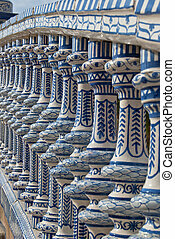 Ceramic Bridge inside square of Spain in Seville, Spain. 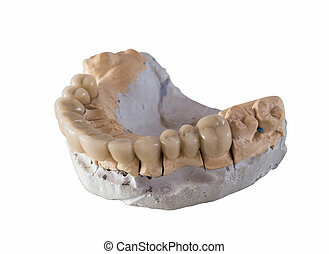 The porcelain ceramic model for home and garden decorating. 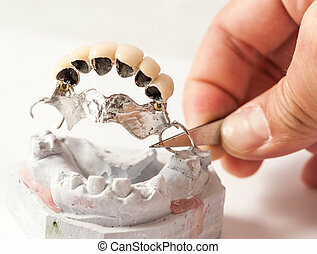 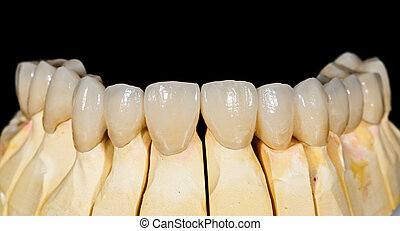 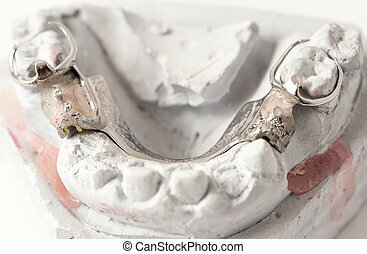 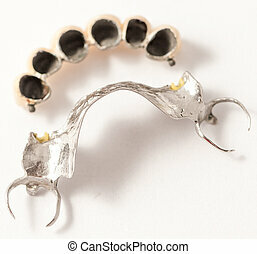 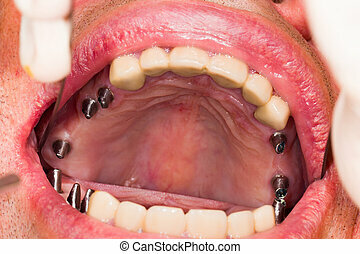 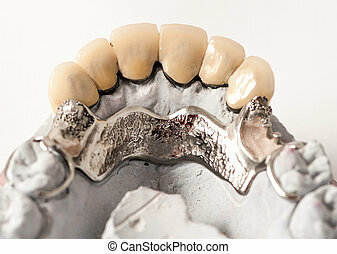 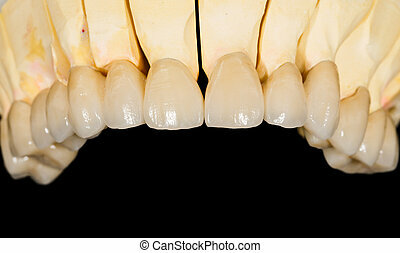 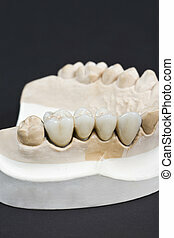 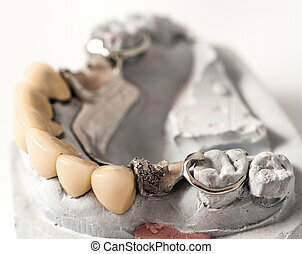 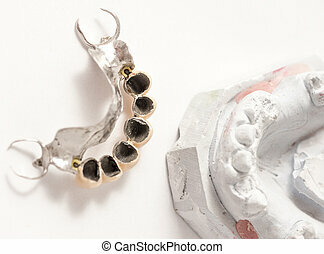 Metallic stubs on dental implants in human mouth.